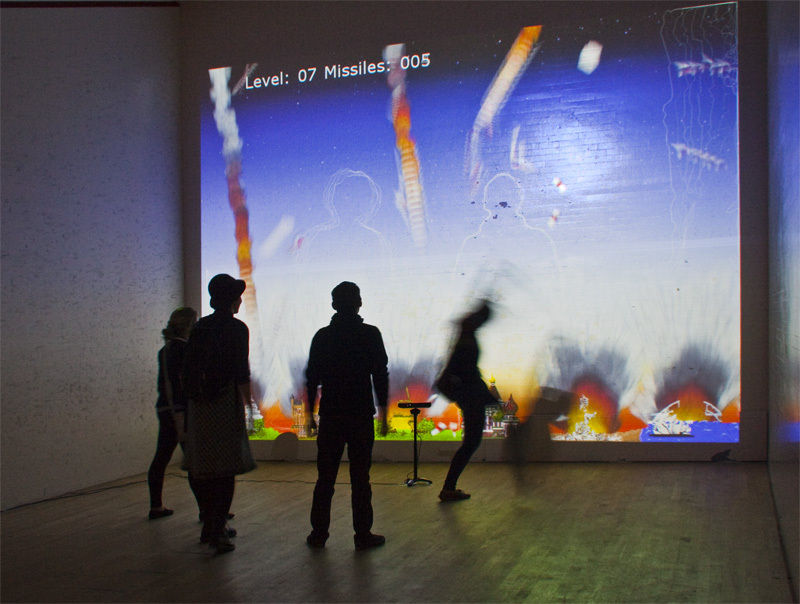 Operation Human Shield is a re-humanization of Missile Command. 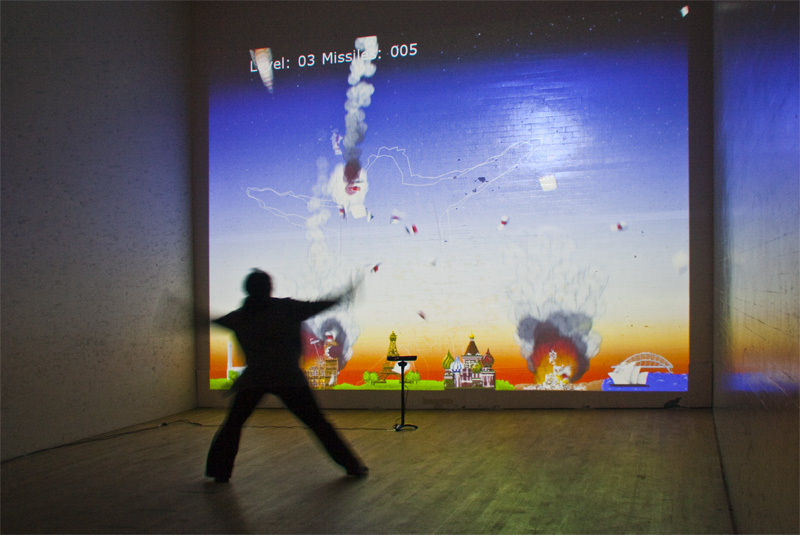 The original game had players shoot down missiles that were on a trajectory to destroy the player’s cities or bases. Subsequent iterations of Missile Command have changed styles, thematic opponents, and attacking/retaliation technologies. My variation puts the player into the game and forces them to use their body to deflect/swat away at incoming missiles. The integration of the body references real-world use of civilian human shields. While war tactic is illegal by any nation who is party to the fourth Geneva Convention (approximately 195 countries), the practice of human shields is still in use today. 8-bit graphics by Erin McQuade.